If We Can Print It, We Can Plate It! Picture Plates is one of Melamaster’s best kept secrets… but not anymore. Picture Plates are beautiful, bright and useful products that are great for fun and fundraising. Each child is given their own paper template so they can design their own plate! 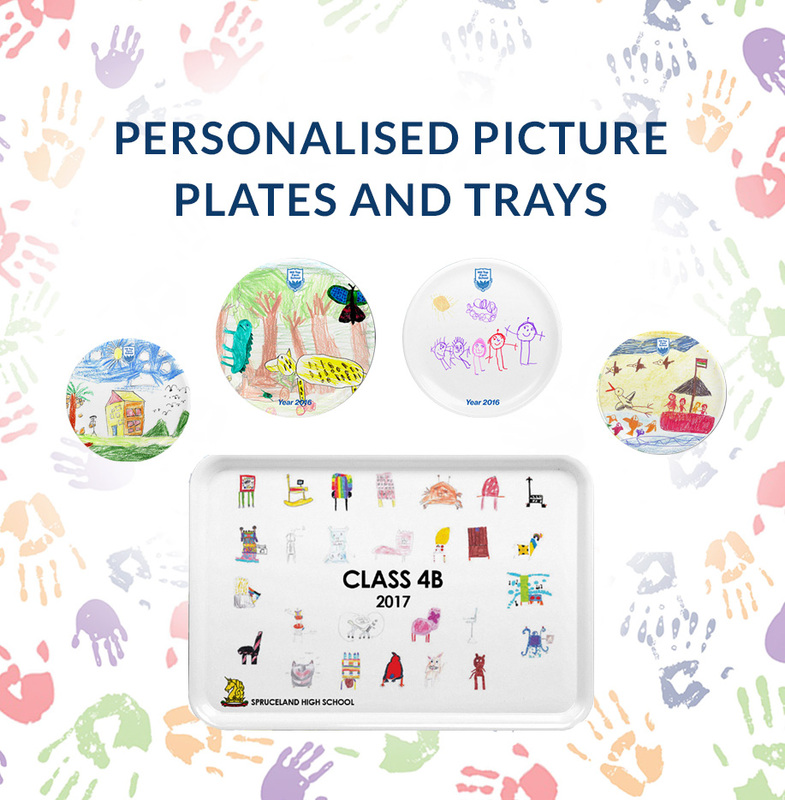 Templates can be personalised with School logos, mottos, project titles (the list goes on), making the plates even more special for capturing a memorable moment in time. You could theme the project around end of term, Christmas dinner plates (keep the sprouts off mine please! ), healthy eating or maybe a barbecue picnic plate, bug plates, raiders plate, dinosaurs plate, the list really is endless. Contact Sian today to find out more.